You have the chance this weekend to take part in an imaginative production that already gained acclaim at the Hollywood Fringe Festival this month. On Saturday, June 21, head over to Lake Balboa Park in Van Nuys to rendezvous at 6pm with actors and other audience members and set off on a journey of a lifetime! This show is FREE and concludes around 8PM. ***A bicycle is required*** Rendezvous point is at the Metro Orange Line Sepulveda Station, 15430 W. Erwin St., Van Nuys, CA 91411. Bike Odyssey LA is a unique new event — a play that doubles as a bike tour. Directed and conceived by Brian Sonia-Wallace, it’s essentially about Los Angeles but uses the Odyssey — the ancient Greek epic poem attributed to Homer — as a sweeping metaphor for the journey. Riders stop in parks and at prominent historical locations along the route to see fragments of the epic played out as Angeleno stories, with expressive physical acting, masks, puppetry, grandiose costumes and songs fit for an outdoor production as well as all the sacrificial vegetables one could ask for! Historical figures of Los Angeles become the epic heroes of the Homeric epic poem and the audience becomes Odysseus’ sailors, weathering storms and battling monsters. 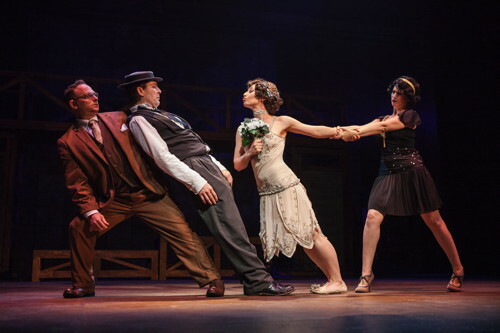 The play raises questions about travel, time, distance, family, camaraderie, and the ‘dangers of the road’. The actors change parts with the flick of a mask or wig. Riders are encouraged to wear togas or other classical finery while becoming immersed in the famous epic poem that follows Odysseus’ voyage home after the fall of Troy. Even those who have never read the famous epic poem can still enjoy this adaptation which tackles Angeleno experiences of alienation and displacement, friendship and solidarity. This ride, led by trained Ride Leaders, is family-friendly, leisurely paced and will return to the starting point at its conclusion. Prior to the ride the team will address safe street riding and group ride etiquette to ensure smooth sailing. Learn more at the official site here. This project was commissioned as part of a partnership with METRO and Cyclists Igniting Change thru Live Exchange (CICLE). Thanks to the sponsors, including The National Endowment for the Arts with the City of Long Beach, LA Bike Week, The City of West Hollywood, C.I.C.L.E., and METRO. 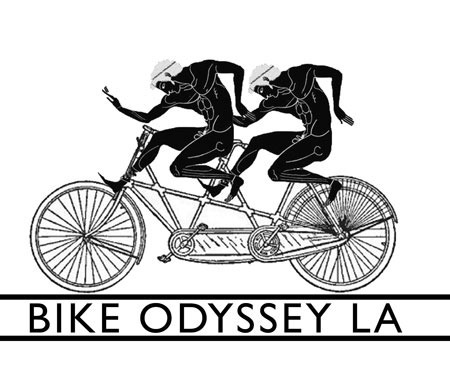 Bike Odyssey LA is an incubated project of Schkapf and fiscally sponsored by Rogue Artists’ Ensemble.